NEW LISTING - Much more than just a place to live! 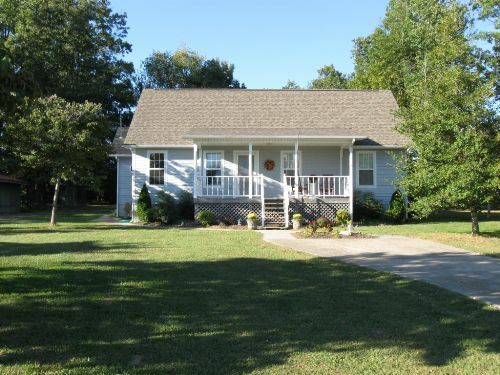 3 bedroom, 2.5 bath on 4.40 acres. Travel down a long, private driveway to your own baby farm that is fenced and crossed fenced with a 28x60 barn and stocked fish pond. The home is less than five (5) years old with hardwood, laminate, and carpet flooring. It has a master bedroom on the main level with spacious bath including a jet tub and large utility. 2,620 square feet of living space. Large two car detached garage, work shop, sheds, and other storage buildings. Fenced back yard for pets, too much to list! Five minutes to Big South Fork. Welcome home!